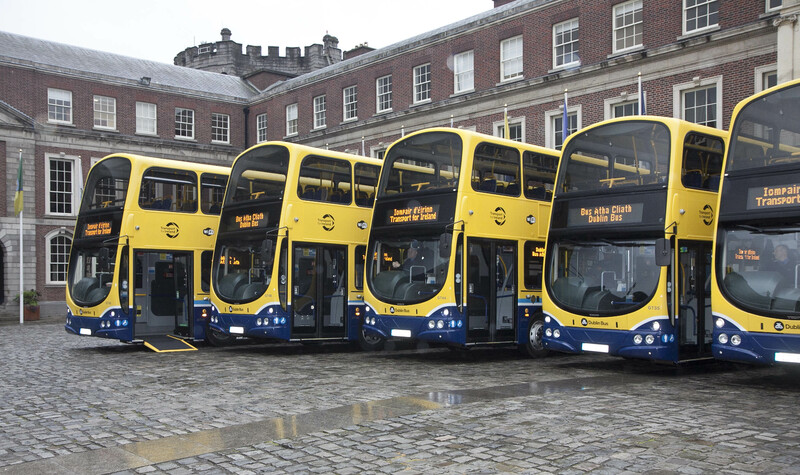 Ireland’s National Transport Authority has funded the introduction of a fleet of 80 new Wi-Fi-enabled buses to Dublin city, representing a €26 million investment in the Dublin Bus fleet replacement programme. The new buses will replace the remaining wheelchair unfriendly buses that Dublin Bus operate, ensuring a 100% accessible fleet by year’s end. Ireland’s rail service, Irish Rail, has slowly been introducing Wi-Fi to its carriages and routes since December 2010, with demand being described as “extremely high”. The new buses are described as “the most environmentally friendly to date”, meeting Euro 5 emission standards. Other recent improvements to Ireland’s public transport system include the introduction of Dublin Bus real-time passenger information displays at bus stops and a journey planner app for Android and iPhone. @wholesomeIE @pdscott Warm because of constant use maybe but not sure about electrical faults? @darrenmccarra @pdscott nor am I tbh. Bus mechanic says its a constant issue on Matthew’s coaches fleet. @wholesomeIE @pdscott Matthew’s installed Wi-Fi on their existing fleet. Do new buses come Wi-Fi ready? Better integrated. @darrenmccarra @pdscott I hope so! Time will tell I guess. Bus manufacturers have been slow to adapt.